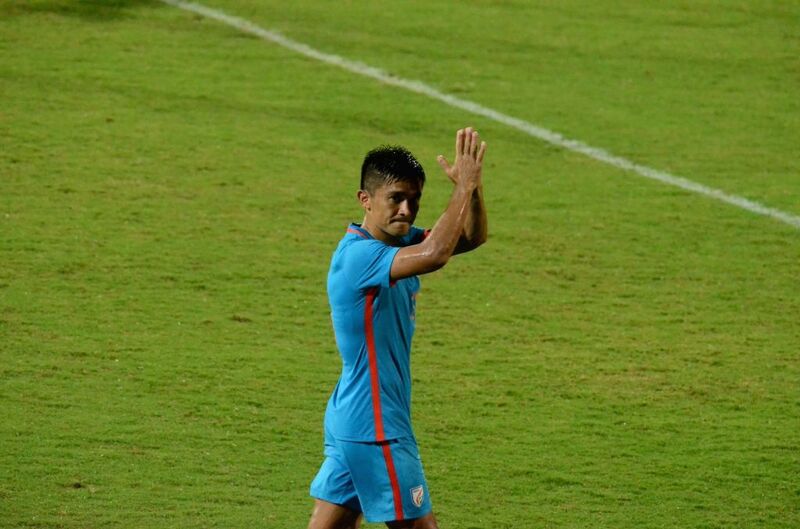 Indian captain Sunil Chhetri acknowledges the crowd after an Intercontinental Cup 2018 match between India and New Zealand in Mumbai, on June 7, 2018. New Zealand won. Score: 2-1.